Preheat oven to 350°F. Lightly grease two mini-muffin pans with cooking spray and set aside. Cut each biscuit into 4 equal-sized pieces. 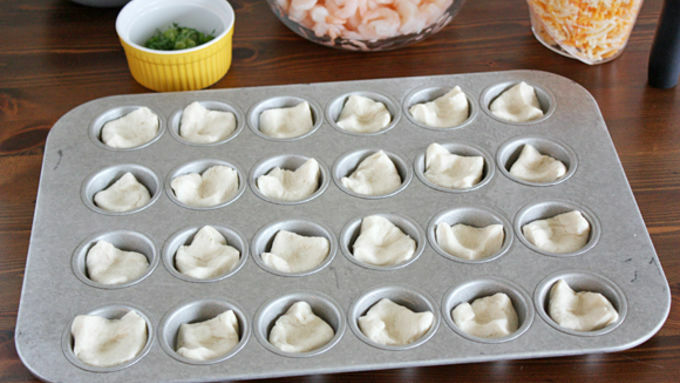 Lightly press each piece into the bottom and up the sides of mini muffin cups. In a large bowl, stir together shrimp, cheese, mayonnaise, sour cream, dill, scallions and salt and pepper to taste until combined. Spoon about 1 tablespoon of the mixture into the center of each biscuit. Bake biscuits until golden brown and the shrimp mixture is bubbly, about 20-25 minutes. 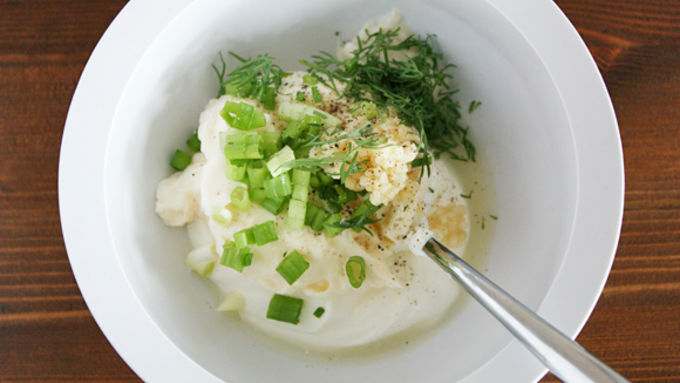 Meanwhile, make the lemon-dill dip: In a small bowl, stir together mayonnaise, sour cream, lemon juice, horseradish, garlic, dill, scallion and salt and pepper to taste. Let biscuits cool 5 minutes before removing from muffin pan; serve warm with dip. I don’t know about you, but one of my favorite ways to ring in the New Year is with a lot of yummy food. Don’t get me wrong – I love to spend the holiday with close friends and family, of course! – but the grub’s gotta be good, too. Otherwise it’s like you’re bringing bad juju with you into the New Year – or maybe just a bad taste in your mouth. 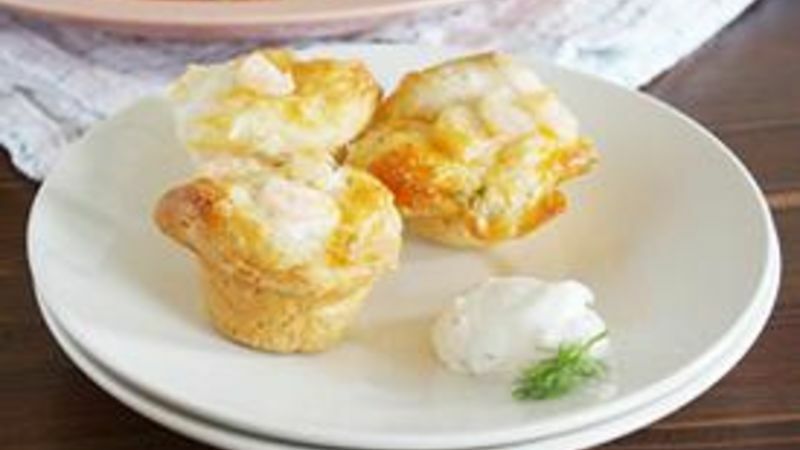 That’s why when it’s my turn to host the holiday festivities, I make sure the menu is in tip-top shape – and these little Shrimp Puffs with Creamy Lemon-Dill Dip always make the cut. 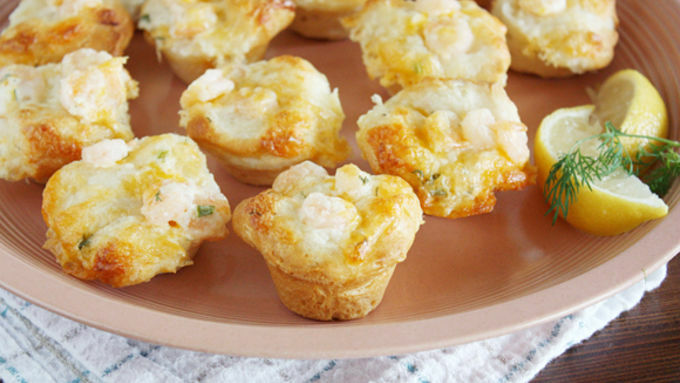 It’s like the classic shrimp cocktail but with a delicious twist – shrimp wrapped up in melty cheese and biscuit dough. You’re hard-pressed to find a tastier appetizer that you’ll want to remember all year long. We’ve got some cute baby shrimpies, sour cream and mayo, shredded cheese, chopped dill and scallions and the star of the show, Pillsbury biscuits. These babies make this appetizer oh-so-easy and oh-so-tasty. 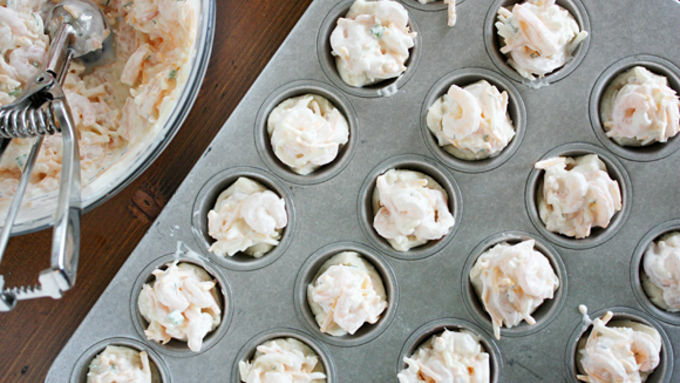 If you don’t have a mini-muffin pan, you can also just place the biscuit pieces directly onto a couple baking sheets and top them with the shrimp mixture – this method just holds them together a little better. You might have some leftover shrimp mixture – if so, save it for lunch tomorrow and broil it on top of a piece of toast. YOU WON’T BE SORRY. Let the shrimp puffs cool for a few minutes, then pop them out of the pan and serve them warm with some delicious dip on the side. Believe you me, friends – this appetizer is one tasty way to start your new year off right.